벨그라노 광장이 내려다보이는 대형 건물에 위치한 Alejandro 1°은 무료 Wi-Fi가 완비된 세련된 객실, 실내 수영장, 피트니스 센터, 2개의 레스토랑을 보유하고 있으며, 살타 중앙 광장에서 300m 떨어져 있습니다. 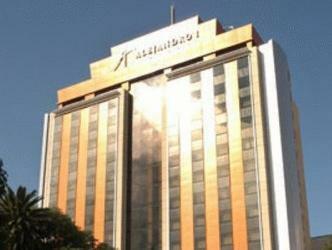 Hotel Alejandro 1º의 객실은 카펫 바닥으로 마감하였으며, 에어컨과 미니바가 구비되어 있습니다. 모든 객실에서 유서 깊은 도시의 탑들과 산 베르나르도 언덕, 인근의 계곡을 조망할 수 있습니다. 매일 조식 뷔페가 제공되며, 레스토랑 2곳에서는 세계 각국의 요리와 현지 요리를 맛보실 수 있습니다. 와인 저장고를 보유하고 있으며, 피아노 바에서 칵테일을 즐기실 수 있습니다. 최신 시설을 갖춘 피트니스 짐에 자리한 바에서 활력을 주는 음료를 즐겨 보십시오. 부대시설로는 터키식 목욕탕과 수압 마사지 욕조 등이 있으며, 마사지 서비스도 이용하실 수 있습니다. 무료 주차장이 제공됩니다. Alejandro Iº Hotel은 구에메스 국제공항에서 11.2km 거리에 있습니다. Very nice hotel, great location (2 blocks to the main park, Plaza 9 de Julio). Comfortable and spacious room, and very nice staff. Complete breakfast! can only be highly recommended! The only negative is the fact that the City of Salta does not believe in catching wild dogs and put them to sleep or in a dog shelter. As a result, you have dozens of stray, hungry dogs hanging around in the park in front of the hotel. You cannot open the windows of your room at night, because of the constant barking of the dogs, and the street noise from cars. But the dogs are the main source of this noise pollution. We like to sleep with the windows open at night and not in an airtight environment which you need here to get some rest. Second point: The hotel touts itself as a non-smoking hotel. Nevertheless, there were some smokers on our floor and the cigarette smoke penetrated our room so we had to put towels under the door to keep the smoke out. Ein 5* Hotel das seinen Namen verdient. Toller Empfang. Tolle Zimmer. Es ist nichts zu bemängeln. Parken war frei. Ich habe es zum Preis von $67 gebucht, was ein Schnäppchen ist. Das Frühstück war super und hatte eine reichhaltige Auswahl. Estupenda ubicación para descubrir la preciosa ciudad de Salta. Correcto en todos los aspectos. Mejorable la ducha. Buena estancia, pero nunca mas compraré por AGODA, ya que hice la reserva 3 meses antes, y el precio del hotel bajó 30 %. Cuando hice el reclamo, había disponibilidad los 3 días, pero cuando de Booking (Es lo mismo que Agoda) me pidieron que mande el link, ya no había lugar uno de los días, y no me reconocieron la diferencia. La oferta a menor valor, era de la misma página, y con opción a cancelarla! los pro: desayuno, habitacion, ubicacion, atencion del personal. un hotel hermoso, muy bien ubicado. decoracion personalizada... un placer visual y estetico. limpio y bien cuidado.